Looking for reliable and affordable Computer Repairs, Services and Help in the Beecher area? Geekmobile is a Friendly, experienced Computer Repair company operating at Beecher. Our Technicians are of the highest standard and we fully cover Beecher and the surrounding suburbs including Toolooa, Nagoorin, Kin Kora, Calliope, Tannum Sands, Sun Valley, South Gladstone, Heron Island, Boyne Valley, Boyne Island, Wurdong Heights, West Stowe, South End, O'Connell, Many Peaks, West Gladstone, Ubobo, Burua, Wooderson, South Trees, Mount Alma, Gladstone South, Gladstone, Clinton, Boynedale, Barney Point and Telina just to name a few! Beecher is serviced by the techs based in these suburbs and surrounding areas: Jaime (New Auckland), Jaime (South Gladstone) and Robert (Gladstone). 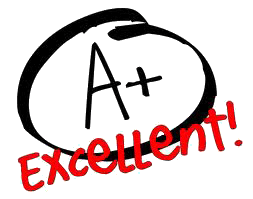 "very happy with the service and have recommended your company to several business owners and will continue to do so "